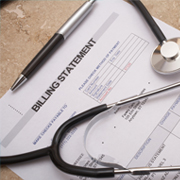 Our customer is a renowned medical billing company based out of Annapolis, Maryland. They approached us to avail for our medical billing services after searching long and hard for a dependable partner. The client was looking for a service provider who could provide end-to-end billing services for their company. They had a huge backlog which needed to be cleared in a very quick time, while ensuring there were no delays in processing. I want to express my sincere appreciation for the dedication you have shown towards our company, truly a blessing and I thank you. You are doing a great job which allows us time to take good care of the client in areas we could only glance over. We, at Outsource2india, have been in the medical billing and coding domain for over a decade now. We have a highly experienced team of medical billing experts who can understand every business need and cater to all your medical billing requirements. If you have any kind of medical billing requirement, feel free to talk to our representatives or fill in the contact form and we will get in touch with you within 24 hours.